The aggrieved members of the APC were shut out from contesting during the primaries by the party’s NWC and replaced with relatively new party members. It was gathered that two senatorial aspirants, Dr. Tunji Abayomi and the NDDC representative for Ondo State, Mr. Lucky Ayedatiwa may dump the party this week for another party to realise their ambition. 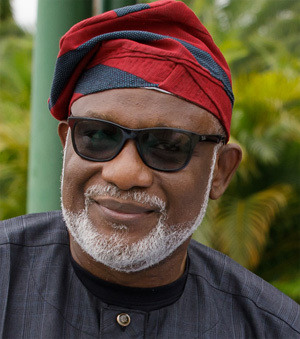 The two, who are loyalists of Governor Akeredolu, have been pencilled down for the North and Southern senatorial districts respectively until the game changed. The Ondo State Commissioner for Physical Planning, Solagbade Amodeni and the Women Affairs Commissioner, Omowunmi Olatunji are already talking with other parties to represent them in the House of Representatives. Also, many other members of the House of Assembly are said to be on their way to other parties. Only six of the 26 members of the House of Assembly were given return tickets, while others were imposed by the party’s NWC. The governor was said to have vowed not to work or support those imposed on the party in the National and state Assembly. A party chieftain, who spoke on the condition of anonymity, said: “Beginning from today, there would be an exodus of APC members to other parties because some aspirants, who lost out in the last primary, have concluded plans to actualise their ambition on the platform of other political parties. Abayomi said: “The National Chairman of the APC, Adams Oshiomhole, should be held responsible if the APC failed to constitute the government at the centre next year. “What is expected at least from the present leadership of Oshiomhole is to give premium to resolution of conflicts within the party, knowing very well that we have elections close by and that there is a need to have unity. “I think the major problem is that the chairman of the party (Oshiomhole) did not take the trouble to read the constitution before he assumed office. “He is more preoccupied with the badge of office instead of the burden of that office. If he pre-occupies himself with the burden of the office, he would have understood that he should not support the idea of automatic ticket. “The implication of Oshiomhole’s action is grave. There is a possibility that the party may not make it in the coming elections.